In the last post in Leading Conservation, we talked with Jeff Gibbs about his work developing WWF‘s volunteer program in Madagascar, and how it’s important to engage young people in protecting the planet. We also discussed Jeff’s work on a very successful campaign in the Amazon, which stopped World Bank funding for building dams that would have displaced the indigenous tribes living there. 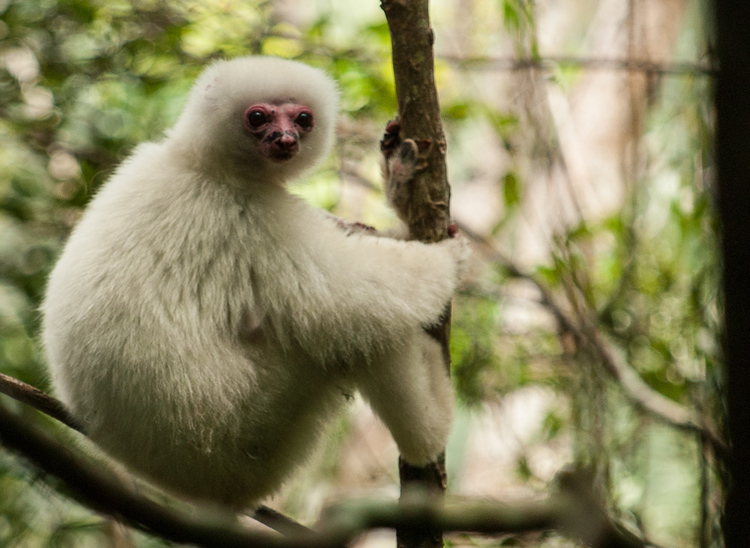 Today, we talk about how that campaign would be different today, how conservationists can stay positive and motivated when they face challenges, and how the Lemur Conservation Network can serve as an advocate for all of the great work being done in Madagascar. Last time we discussed your great victory with the campaign in the Amazon. If you were to do a similar campaign today, do you think you’d need to change your approach, especially with the advent of social media and today’s 24-hour news cycle? 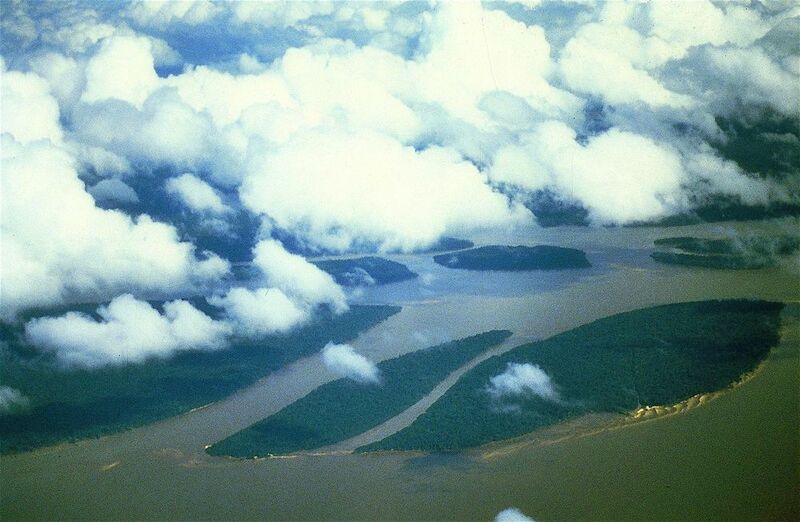 Photo of the Amazon courtesy of Jeff Gibbs. JG: What I didn’t mention before is that the issue didn’t go away really. It disappeared for years, and then all of the campaigners and organizations that had come together for that went on to other things, and it kind of got forgotten about. But, when you’re talking about billions of dollars, there’s a lot of motivation for people who would benefit from the construction of the dams to find some way to do it. So, after a number of years of things being quiet, they repackaged the proposal, and put different names on the dams and brought it back. The first of those dams was called Belo Monte, which was proposed for the exact same site on the Xingu River as the earlier proposed dam. But, they were much more sophisticated when they came back. For starters, they had raised private money for the dams, and they had money from the Brazilian government, so they didn’t require World Bank involvement. Brazilian universities proved that Brazil had the capacity to generate the same amount of electricity for less money using their own solar, wind and other forms of energy generation. But, my take on it is that those industries aren’t politically organized like the cement construction industries are. So, it got pushed through. And the Belo Monte dam is now about halfway built, and it will be the third largest dam in the world. So, what was a huge victory ended up being a defeat years later. It’s a hard lesson that efforts to protect the planet and victories in this domain are not forever. We have to keep vigilant. 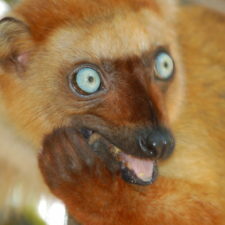 White-fronted Brown Lemur (Eulemur albifrons) in Marojejy National Park, Madagascar, 2007. Photo courtesy of Jeff Gibbs. The tactics that were successful the first time around wouldn’t have been successful again — there has to be change within Brazil. Because, despite tremendous opposition within Brazil, it still moved ahead. But, I’m not saying that the rest of the world should just leave it up to Brazil to protect the Amazon. The world needs to mobilize around some of these key environmental threats. Now, it’s a question of whether the building of this dam will create momentum for more dams, or whether the fallout from the problems associated with it will make it more difficult to do dams. It’s an issue that is very important. Back to your question about mobilizing people and how to do it. It’s such a challenge. You can look back to before the advent of the internet and say how difficult it was. We had to post things in the mail, put ads in newspapers, and get journalists to write stories, and that was how you got the word out. And now we have the internet, which is instant access to people, but now there are thousands of cause groups, and every day you’re getting invited to join someone’s cause group on social media. So how do you cut through that? LV: Right. And, one voice on Twitter is not nearly as loud as a letter mailed to a Congressman. People have more opportunity to help, but it’s helping in smaller ways. JG: Exactly. Your impact is diluted when you’re just clicking on something or retweeting something. So, I think that for some people who have grown up with only social media, there is an opportunity for a novel (for them) approach to engagement, which is to write letters with pens and come out to meetings at cafes and actually do offline stuff. Some of the young people I’ve talked to are looking for something beyond social media. So that could be more effective. LV: Good idea. Bring it back to old school. JG: I do notice though that a few issues a year gain so much attention that social media flips over and becomes an asset because it mobilizes so many people. When you think about the issue of treatment of women in India, and how people are really galvanized around the world about that. Or about the Keystone XL. There are certain issues that bubble up. There’s a certain point where social media is able to mobilize a lot of people, but it’s so difficult to figure out how to do that. You almost can’t plan it; some things catch on and others don’t. It’s tricky to use social media to really make a difference. LV: It gets your message out to people who want to hear it, but it’s harder to get your message out to people who didn’t know about your cause. Speaking of challenges, in your bio, you talk about how you’ve become disillusioned and exhausted a few times in your career. I think a lot of people who work in conservation can really relate to that. 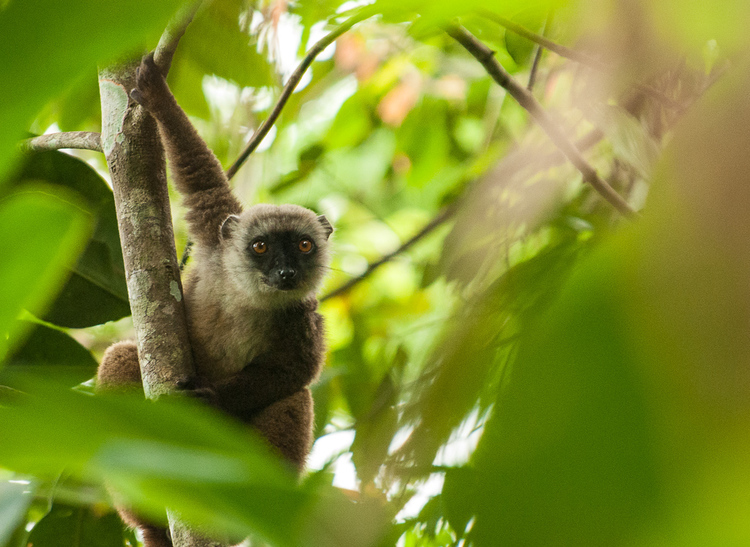 Golden-Crowned Lemur (Propithecus Tattersali). 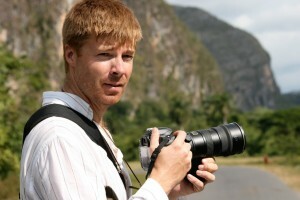 Madagascar, 2007. Photo courtesy of Jeff Gibbs. LV: You get inundated with messages about extinctions and illegal logging and everything else; it can be challenging to stay positive especially if you hit a wall or a project doesn’t work out. How do you stay committed and enthusiastic? JG: I think it’s a fabulous question. I throw myself fully into my projects, and I take risks because I’m always trying to get a breakthrough. We know that there’s such a big crisis, and there’s a need to find innovative solutions in all sorts of areas. That means trying new things and taking risks. There have been setbacks over the years. The Belo Monte dam in Brazil was a really surprising setback. By the time it came out, they were already building the roads to build the dam. It had been something I worked on for a year of my life many years ago to have that original success. So when you a put a year or more (in the case of Borneo, it was a couple of years) into a project and it doesn’t work out, it’s very hard. I think for any of us who are working to protect the living planet, it’s important to be open and honest about how heartbreaking this work — and just being aware of what’s happening to the planet — can actually be. It’s understandable that we get overwhelmed by seeing the destruction happening around us. There are certainly joys in this work — there have been lots of joys and victories — and it’s important for all of us to celebrate when we have success. But, I think it would be helpful if we talked more about the pain that comes with doing this kind of work. Because most of us feel this pain at some point, and it’s important to remember that we have each other. Another thought is, I’m starting to think I’m willing to accept that doing this work is not a long term activity for everyone. And I think that’s okay. I’ve seen people come in and out of this movement because they get burnt out and exhausted, and that’s okay. People shouldn’t feel the pressure to feel like they have to do this for a decade or for a very long time. 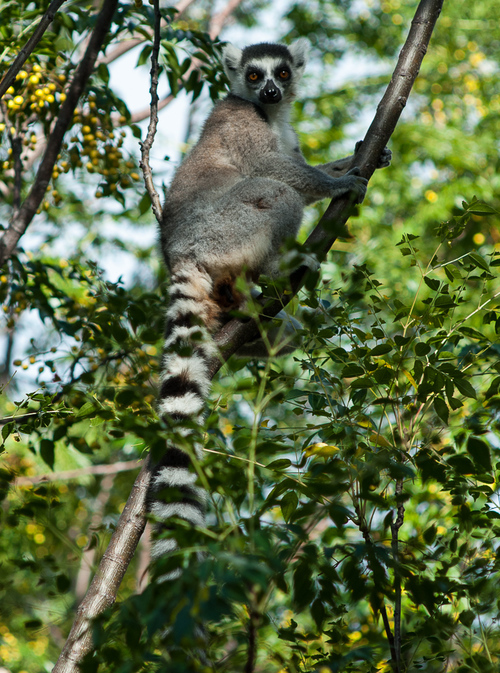 Ring-tailed Lemur, Anja Protected Area, Madagascar, 2006. Photo courtesy of Jeff Gibbs. Thirdly, I’d say that we all have our own ways of rejuvenating our soul. For each one of us, how we do that would be different. But I think it’s very important to make it a priority to spend the time doing things that rejuvenate us and not waiting until we are exhausted. It’s really easy to say that and much harder to do that, but we need to try to take care of ourselves in whatever way that is. LV: That’s interesting. My sister is a counselor who works on this exact issue; counselors hear other people’s problems all the time and tend to forget themselves. It’s a lot of the same issues that you talk about. People who are working in conservation feel this desire and need to sacrifice themselves in order to save an animal or the planet or do whatever they can. But maybe you’re no good to that movement if you don’t take care of yourself too. JG: Yeah. It’s very difficult to do that. This is actually very difficult, challenging work because there’s so much that’s beyond our control. The issues are so complicated. We’re doing a huge experiment on the planet right now, with the power that humanity is having over the natural world. And that’s changing the world in ways that we don’t even fully understand. What we do understand is pretty overwhelming. LV: It’s interesting. We should get a support group together. JG: That’s a great idea. Some people are most effective when working together with other people directly, instead of remotely via the Internet. One of the best parts of my time in Madagascar was returning and being able to have experiences with people over and over, and build those relationships. You get support through other people, so if you end up being solo or scattered on these projects, then it’s much more difficult to feel that support. LV: Yes, personal connections to the work are very important. I’m curious to hear what you are working on right now. JG: I am still figuring out what I’m doing; I’m open to opportunities. Most of what I’ve done in my career, I’ve created the opportunity. I’ve come up with an idea and either created an organization to deliver that idea, or in the case of WWF, convinced an organization to take on the idea and develop it. So that’s typically how I operate. I’m in the process of developing new initiatives, and nothing yet has taken, so I don’t have anything to report. Perhaps someone reading this will envision a role for me in one of their projects or organizations. 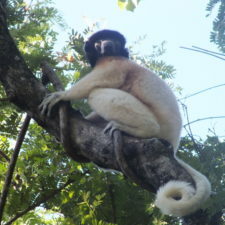 An individual Silky Sifaka (Propithecus candidus) named “Pink Face” in Marojejy National Park. Madagascar, 2007. Photo courtesy of Jeff Gibbs. I do think that filmmaking is going to be a much bigger part of the future for me, more so than photography. I’m not sure exactly how that will mesh, but I envision that as part of it, and I intend to somehow be involved in Madagascar in the long term — continuing to try to bring support to the country. I think there are so many people doing great work in Madagascar, and I just want to support those people. That to me is where the big need is. The projects are there; the initiatives are there; the skills are there. They just need more support. 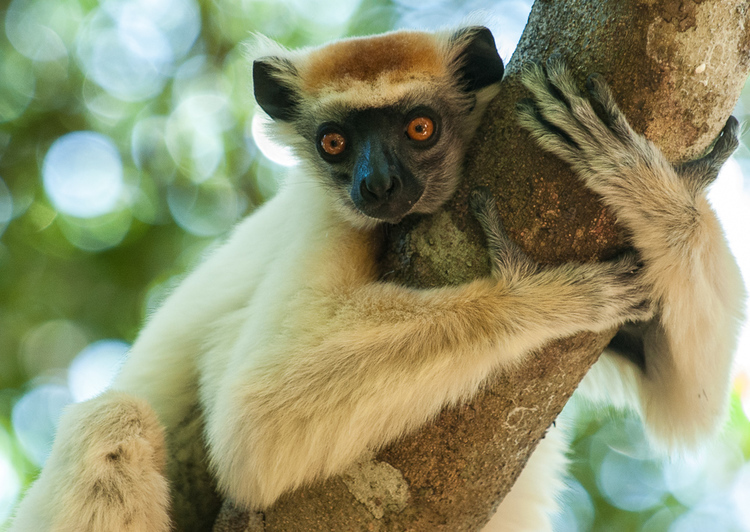 When you think about how phenomenal Madagascar is and what an investment in conservation can do there, it really could be attractive for philanthropists and others to get involved. I think there’s a great opportunity to do more there. That’s why I’m happy about the Lemur Conservation Network. LV: That was our idea from the beginning. People are already there doing great work. We want to mobilize everybody together and promote them as one. So, instead of 40 small voices, we’ve got 40 small voices and one loud voice. That’s the idea behind our network, and using it as a platform. 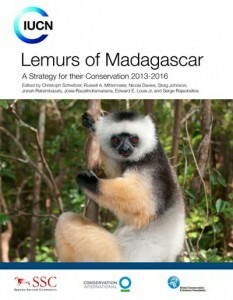 JG: The lemur action plan brought together most of the groups who are working together to protect lemurs. Very few people are going to read the report, but I thought it would be great to have an electronic version to show people the projects, which is exactly what you’re doing. If you hadn’t read that report or been to Madagascar, how would you ever know about most of these groups? They have such a low profile. What you’re doing with your website showing a synopsis of the groups is really helpful for people. It would be great to get the attention of people who want to donate a lot of money, because instead of trying to get a million people to visit your website, just get a few people or foundations. There needs to be more of an advocate. There’s a lot of potential. 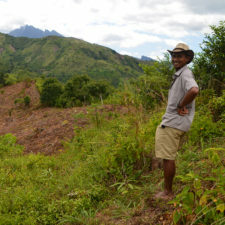 Is there a particular project in Madagascar you are inspired by? JG: I think about what I see going on in Marojejy with Erik Patel. I’ve traveled there three times in the last nine years with Erik, so I’ve seen how things have evolved dramatically through all of their initiatives. They are doing these initiatives for not very much money. What they’ve raised has not been significant but the impact has been huge. And that’s been the case with several organizations, so it’s about finding the right people to be an advocate. 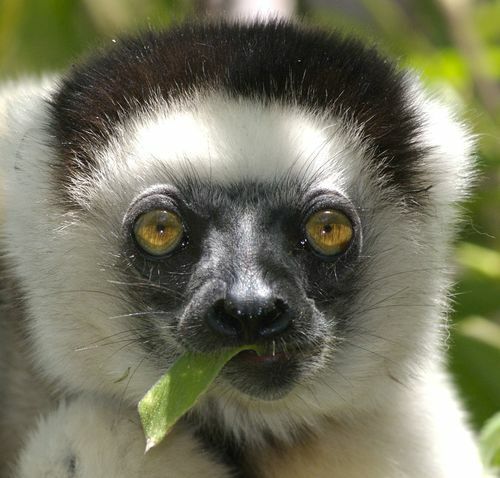 What you’ve done with the Lemur Conservation Network is a good step because it will only grow from here. 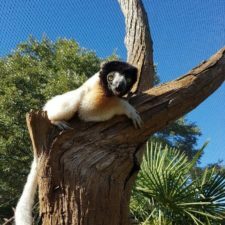 I think somebody who’s heard about lemurs and might want to become a patron or supporter will really benefit from what you’re doing.